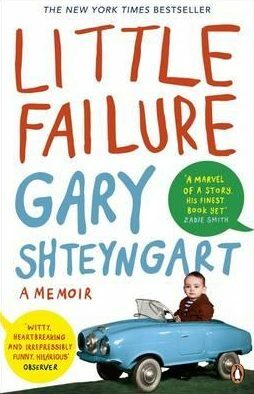 In advance of the 2018 Stroum Lectures with the bestselling author and satirist Gary Shteyngart, read excerpts from Shteyngart’s memoir, Little Failure, and engage in a discussion facilitated by Prof. Sasha Senderovich at the Stroum Jewish Community Center. 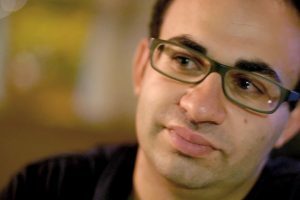 Little Failure is a humorous, touching, and deeply honest exploration of Shteyngart’s history – and his family’s – that delves deeply into the 20th century experience of Jews in the Soviet Union and follows them as immigrants to the United States. RSVP below for the selection from Little Failure; PDF versions are available. Check the registration confirmation to download the PDF of the reading. Register for the May 7 & 9 Stroum Lectures here. 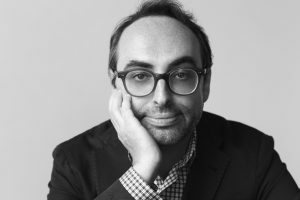 Gary Shteyngart was born in Leningrad in 1972 and immigrated to the United States seven years later. He is the author of three bestselling novels: The Russian Debutante’s Handbook (2002), Absurdistan (2006), and Super Sad True Love Story (2010). His newest novel, Lake Success, will be published in 2018. Sasha Senderovich is an Assistant Professor of Slavic and Jewish Studies at the University of Washington, Seattle. He teaches courses in Jewish literature and culture as well as Russian literature and film.